According to the 1962 Missal of St. John XXIII the Extraordinary Form of the Roman Rite, today is the feast of Sts. Perpetua and Felicitas. Their feast in the Ordinary Form of the Roman Rite is celebrated on March 7. 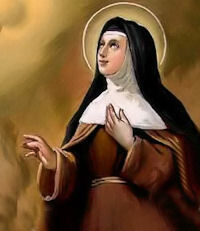 Historically today is the feast of St. Colette, who revived the Franciscan spirit among the Poor Clares. Her reform spread throughout France, Savoy, Germany and Flanders, many convents being restored and seventeen new ones founded by her. She helped St. Vincent Ferrer in the work of healing the papal schism. Born in 1380, Nicolette was named in honor of St. Nicholas of Myra. Her loving parents nicknamed her Colette from the time she was a baby. Colette's father was a carpenter at an abbey in Picardy. Quiet and hard-working, Colette was a big help to her mother with the housework. Her parents noticed the child's liking for prayer and her sensitive, loving nature. When Colette was seventeen, both her parents died. 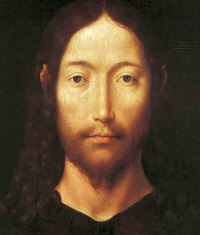 The young woman was placed under the care of the abbot at the monastery where her father had worked. She asked for and received a hut built next to the abbey church. Colette lived there. She spent her time praying and sacrificing for Jesus' Church. More and more people found out about this holy young woman. They went to see her and asked her advice about important problems. They knew that she was wise because she lived close to God. She received everybody with gentle kindness. After each visit, she would pray that her visitors would find peace of soul. Colette was a member of the Third Order of St. Francis. She knew that the religious order of women who followed St. Francis' lifestyle are the Poor Clares. They are named after St. Clare, their foundress, who was a follower of St. Francis. During Colette's time, the Poor Clares needed to go back to the original purpose of their order. St. Francis of Assisi appeared to Colette and asked her to reform the Poor Clares. She must have been surprised and afraid of such a difficult task. But she trusted in God's grace. Colette traveled to the Poor Clare convents. She helped the nuns become more poor and prayerful. The Poor Clares were inspired by St. Colette's life. She had a great devotion to Jesus in the Eucharist. She also spent time frequently meditating on the passion and death of Jesus. She loved Jesus and her religious vocation very much. Colette knew exactly when and where she was going to die. She died in one of her convents in Ghent, Flanders, in 1447. She was sixty-seven. Colette was proclaimed a saint by Pope Pius VI in 1807. See the Ty Mam Duw Poor Clare Colettine Community for more information. The Station is in the church of St. Pudentiana, daughter of Pudens the senator. This holy virgin of Rome lived in the second century. She was remarkable for her charity, and for the zeal wherewith she sought for and buried the bodies of the martyrs. Her church is built on the very spot where stood the house in which she lived with her father and her sister St. Praxedes. St. Peter the Apostle had honored this house with his presence, during the lifetime of Pudentiana's grandfather.